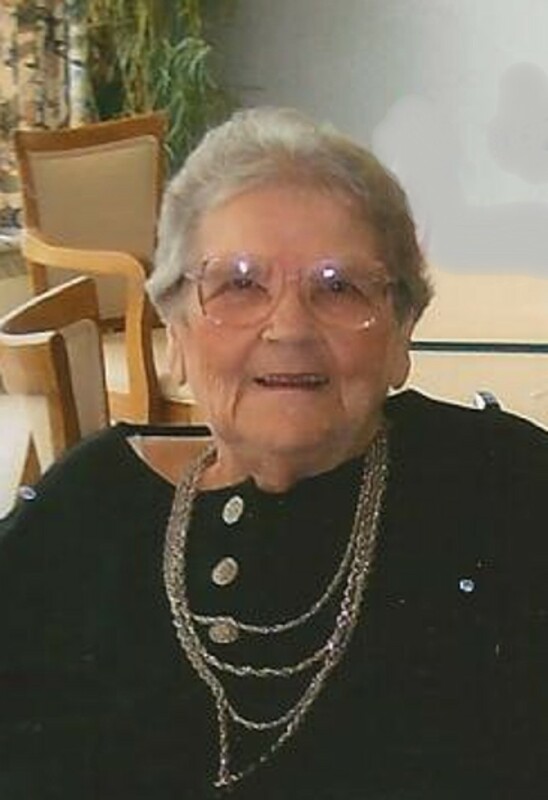 Edith Mae Cook, 94, formally of Hermon, died on October 28, 2013, at Maplewood United Helpers. A funeral service will be on November 1, 2013 at 2 PM, Father Douglas Lucia officiating. Burial will follow in the Hermon Cemetery, Hermon. Edith is survived by her son and daughter in law, Steve and Diana Cook, of Hermon, granddaughters, Rachael and her husband George White of Hermon and Christina Cook of Hermon, great grandchildren, Kaylee White, Miranda White, David White and Payton White, several nieces and nephews. She was predeceased by a daughter Jeanne Cook, brothers, Joseph, Morris, Ernie, Ted and Francis Brunet, sisters, Genevieve Stowell, Theresa Perrin, Marion Roy, Agatha Toomey, Alma Stowell, and Cecil Breman. She was born on May 29, 1919, the daughter of Joseph and Edesel Thesier Brunett. She graduated from Gouverneur Central School. She married John H. Cook on November 24, 1951 in DeKalb, he died July 25, 1996. Louise owned and operated Hermon Nursing Home for several years, and then she cared for clients from Sunmount of Tupper Lake at her home. She was a former parishioner at St. Henry’s Church. 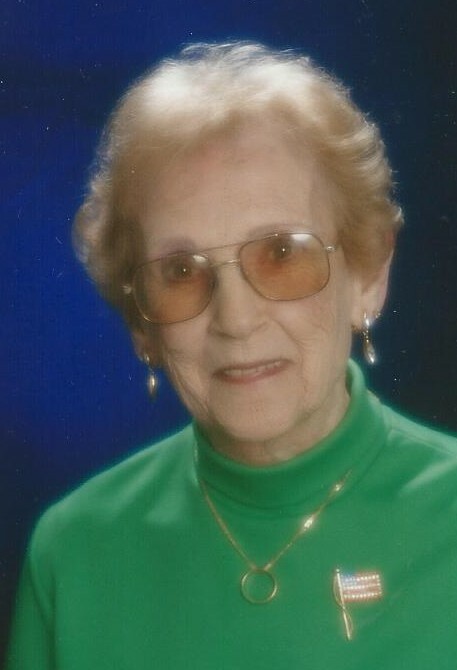 Edith Mae loved to read, sew, played cards and cook. Contributions can be made to Maplewood United Helpers. Hortense, daughter of Lena and Stanley Smith passed away in her DeKalb Junction home at the age of 94. Smitty spent her younger years on her parent’s farm in East DeKalb. As a youngster her favorite games to play were Red Rover, Simon Says, May I, Anti over, Ring Around the Roses, musical chairs and Hide and go seek. In high school she was on the DeKalb High School Women’s Basketball team that won a championship at what is now called the St. Lawrence University Book Store. Following her graduation, Smitty attended Potsdam Normal School and graduated at the age of 18. Smitty married Robert Brown on Nov. 13th, 1940 in DeKalb, New York. Frank Brown father of Robert officiated the ceremony. For the next 20+ years, while Bob was in the U.S. Navy, Smitty and Bob lived in many exotic places, Cuba, Pensacola, Florida, New York City and the Marshall Islands. During those years Smitty was on a bowling team as well as getting together with friends to play bridge. She also enjoyed reading, fishing, movie going and being a Mom to their only son, Michael. From 1961 – 1963, Smitty attended Plymouth Teachers College in Plymouth, New Hampshire. She earned her B.Ed. and M.Ed., all the while maintaining a straight A average. Hortense, Bob and her son Michael graduated from Plymouth State College on the same day. Due to Hortense’s passion for higher learning, her inspiration led Mike to pursue his PhD. in sports, psychology at Maryland University. Smitty was very proud of her son and let that be known to many people. In 1964, following graduation, Smitty went to teach 5th grade for over 20 years in N.Y. State. Upon retiring from the Medina School System in Medina, N.Y., Smitty and Bob returned to their DeKalb roots. Smitty was a devoted wife and took care of Bob when he became ill. After Bob’s death Smitty lived alone depending on her friends and neighbors (Albert and Susie Simser) to live out the remainder of her years. Among Smitty’s many interests were Sunday School, United Methodist Woman, Historical Society, craft club, cross word puzzles, knitting, and attending musicals at O.C.P. with her adopted daughter Suzann Conklin and her husband David. Cross word puzzles and cats were a constant part of her life. Up until the age of 92, Smitty was completing the N.Y. Times crossword puzzle in every Sunday paper. She really enjoyed doing crossword puzzles with her son, Mike, whether it was in her living room or over the phone. Smitty enjoyed and loved cats. The last cat she had was Mama Betsey. She was always telling stories about Betsey and how she would have to cellarize her because she was being naughty. Smitty always looked forward to spending two weeks every year with her grandchildren and great grandchildren at Trout Lake. She looked forward to evenings at the lake when it was “Smore making time” and the kids would make her some and bring them to her. She also enjoyed going to Vermont every holiday, especially, Thanksgiving, Christmas and Easter. She often mentioned how much fun it was to watch the kids hunt for Easter eggs in the snow! Smitty touched many lives through her passion for life. In all of her accomplishments, goals, struggles and triumphs, Smitty had a deeper strength that she relied on, a strong purpose and knowledge of who she was, what she wanted, and very often how she was going to get there. Smitty was extremely, bright and very witty. In her last weeks of life, Anne, Katie, Matt, Tanis, Gloria and Marcie were her caregivers. They all cared for her as if she were their own Mom. Smitty’s family is eternally grateful to them. Smitty is survived by her son, Dr. Michael Brown and wife Ann of Williston, VT, four grand children, Shannon Kennedy, Aaron Brown and wife Sue, Kathy Duff-Brown, mother of Shannon and Aaron, Ali Wisehart and husband Ben, and Devin Brown, eight great grand children, Ian, Padraig, Kiernan, Joslyn and Colin, Addy, Everett, and Paxton. She is also survived by her extended family in VT: Sean and Jowee Harrington and their sons, Joseph and Dana, Todd and Cathy Harrington and their children Tessa and Aiden, Sarah and Ryan Langlois and their sons, Tanner and Andrew. Many thanks to the Hospice team, Jill, Lucille, Elizabeth, Edie, Kathleen and Pastor Rob for stopping by regularly to make sure Mom was resting comfortably. There will be a graveside service on November 2, 2013, 1:00 PM, at Hermon Cemetery, Hermon, New York, Reverend Robert Schrimer officiating. There will be a luncheon following the service at the DeKalb Junction United Methodist Church. In lieu of flowers the family requests that donations be made to the DeKalb Junction United Methodist Church or Hospice and Palliative Care of St. Lawrence Valley.